Kula Cooler Review - It’s Gator Proof and Yeah, it's Round! Kula Cooler Review – It’s Gator Proof and Yeah, it’s Round! This week we have the Kula Cooler review cued up for your learning pleasure. Ever since Yeti has stormed the market with their durable coolers, manufacturers have been leaping onto the cooler dancefloor trying to bust a move. However, most of these new coolers are simply copies of one another, kind of like the cookie-cutter pop that assaults my radio. Kula, though, has given us some hope that there are still amazing new ideas, and for the first time since we started reviewing coolers, we were excited to put together the Kula Cooler review. 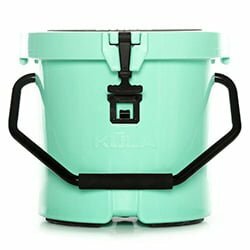 Kula is based out of Fort Walton Beach, Florida, and has truly created a unique pair of coolers. The Kula cooler not only has one of the best coolers we have seen recently, but they also have some of the best marketing we have seen. We like a company that is honest and direct, instead of tip-toeing around like a pink tutu-wearing ballerina. Oh, in case you didn’t want to keep reading, the Kula ice chest is gator proof, that’s right as in alligators. 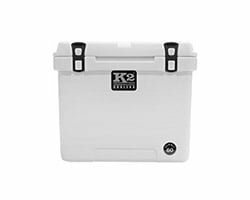 Now that we have captured your attention with the “gator proof” thing we figure we should just jump into the Kula Cooler review. Being fairly new, Kula only has two models in their current line, the 5 and the 2.5. We plan to cover both models to give you a complete rundown of all their gator fighting goodness. Just for giggles, we will give you a Kula vs. Yeti showdown to see how this upstart compares to the big dogs. Yeah, its round! And well, why shouldn’t it be. We figured since all your drinks are round it only made sense. We hadn’t thought of this before, but it makes sense. How much space is wasted trying to stuff a round peg into a square hole? We are fans of things working the way they claim they can work. In the cooler game, many coolers claim to keep stuff cold but end up leaving us only with puddles. Kula has utilized the proved effective roto-molded plastic construction to create an insulation design with a total width of 16.75-inches, but the inside width is only 11.75-inches. This gives the Kula ice chest around 3 inches of insulation that can hold ice for an alleged 6 days. For the math whiz in the audience, we subtracted the amount of width taken up by the lip of the lid. From our research, we have found that with consistent use, opening and shutting the lid, that the actual time is closer to 3 days. However, if you are using this for storage only during a long trip you might actually reach the 6-day mark. Even with less time to keep ice, well ice, the cooler does an admirable job of keeping the really important things nicely chilled. Yeah, you guessed it, drinks and sandwiches. 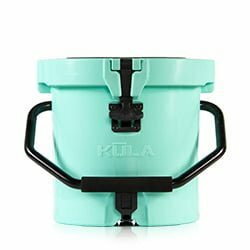 We already discussed the roto-molded construction of the Kula cooler that gives it durability and provides insulation, so we decided to stick with some of the features that are unique to the Kula 5. 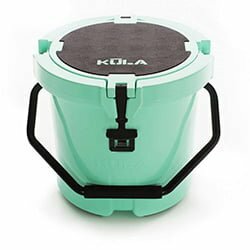 The inside of the cooler is 11.75-inches in diameter by 11-inches tall, which gives the Kula cooler a total capacity of 5-gallons. 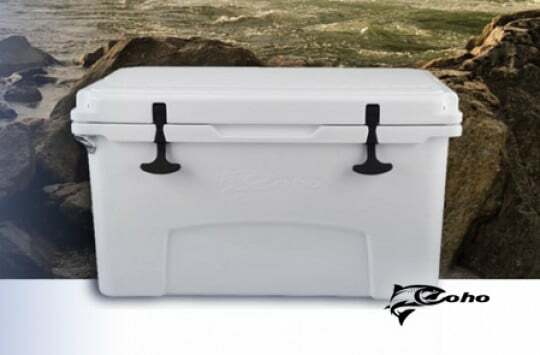 In a 5-gallon cooler, you can fit 27, 12-ounce cans, and the ice to keep them nice and frosty. The lid of the Kula 5 is reinforced to help make this cooler more than just a cooler. Instead of just putting plain old plastic on the top of the lid, Kula put high-density EVA foam to turn this monster cooler into a comfy chair. If you are like us, you like a cooler that you can sit on, and the Kula ice chest is definitely sturdy and comfy enough to act as a chair. If that isn’t good enough, the cooler is so strong that you can use it as a stool, or, as one of their ad pictures shows, a great platform to practice your diving. 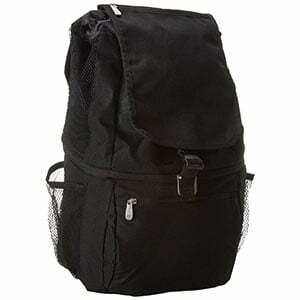 The lid is secured by a tough rubber latch that helps seal the lid in place for cold retention. While this isn’t really all that unique, the one hand operation that makes opening and securing the lid simple. A cooler we can open and close without having to put down our beer quickly endears itself to us. The lid is attached via a reverse rubber hinge that allows it to open 270 degrees. This creates a lid that completely pulls itself free and doesn’t obstruct access to all the delicious goods housed within. As if a nice top wasn’t enough the Kula cooler has a nice bottom as well. 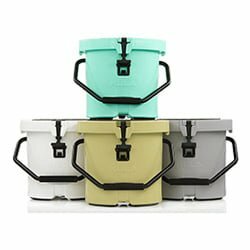 This 5-gallon cooler sits on a set of Sticky™ Feet made from non-stick rubber. These little numbers not only stabilize the cooler but help to keep it from moving and sliding around when you are using it as a chair, stool, or diving platform. Like any good bottom, the Kula ice chest has a drain hole, but unlike other coolers the drain hole is bathtub style. 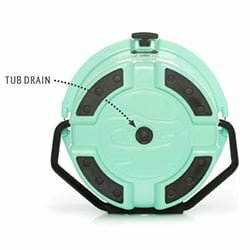 The bathtub style plug allows the water to drain directly out the bottom, instead of collecting and pooling below the level of the plug. We really like this feature, but be aware that the drain can be easily clogged since liquids aren’t the only thing that collects at the bottom. Before we jump into the Gator proofing, we thought you should be aware that the Kula cooler has a freakin’ bottle opener built right into the side of the cooler. This stainless-steel beauty makes this cooler almost attractive enough to kiss, almost. We better not catch you posting make out picks on Facebook. Finally, you officially have the toughest cooler out there. 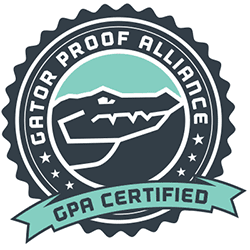 After years of testing products, Kula was the first product to be certified “Gator Proof” by the Gator Proof alliance (GPA). Notice we said “product”, not “cooler”. No other household item tested by the alliance has even come close. Other coolers claim to be “bear proof”, well here is a little science for you; according to Science Focus the strongest bear bite is 1,200 pounds per square inch. The average American Alligator has a bite force of 2,125 PSI, and according to Murph from the GPA they can reach up to 3,000 PSI. That means that this sucker is more than two-times stronger than the strongest bear bite. We will take gator proof over bear proof every day of the week. While we are still singing Kula’s praises, we want to give a nod to Kula’s marketing by going the extra mile to get gator proofed. That takes some serious ingenuity and stones to put your stuff in the mouth of an angry gator. The Kula cooler has a lot going for it, but unfortunately, there are a few areas that we wish to see some definite improvement. We’ve already reviewed the potential problems with the plug, but here are a couple honest disappoints we found with the Kula cooler. 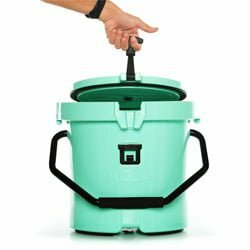 Carry Handle – The Kula cooler only has a rotating stainless-steel handle that really makes the cooler feel like a bucket, and everyone knows how uncomfortable a full bucket is to lug around. We would have really liked to see a more comfortable handle with some kind of shoulder strap option to make it more comfortable to carry around. 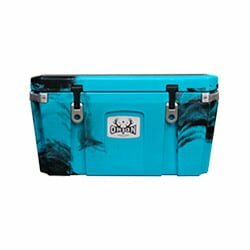 Kula does sell an accessory strap, but since it already in the price range of premium coolers, you would think they would throw that sucker in. 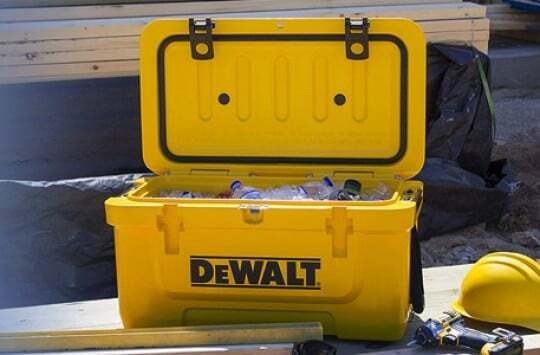 We also would like to see a smaller handle built into the lid itself to make the cooler easier to lift and stow. The oversized metal handle is really unwieldy when trying to pack this puppy into a trunk. A little extra space – We love the round idea, and the gusto that Kula throws into the mix, but the round design has its limits. 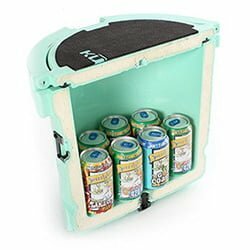 In order to get a cooler with the same space as a some of the party packing Yeti’s, the Kula coolers would have to be really tall and fat. While we would love to have a bar stool that doubles as a cooler, carrying that sucker around would be less preferable than giving you mother-in-law a sponge bath. Meet the Kula – this video explains it all. Ok, the way Kula markets the little brother of the Kula 5 has to be some of the most fun we’ve seen for coolers. Kula makes the 2.5 the mullet of coolers. No, not the greasy mullet on the guy who cashier’s the corner store, but the awesome “chill on the inside, and party on the outside” kind of cool. This half size Kula has a tap! That’s right, a [email protected]%#3RF^($IN’ tap! This sucker doesn’t just bring the party, it is the party. The tap is located down at the bottom, yeah the 2.5 has a nice little bottom too, so you can roll up and kick off the fun without having to wait for someone to prep the keg. The body is made of roto-molded plastic stuffed with insulation to keep your jungle juice cool all night long. Most of the other features of the Kula 2.5 are the same as the larger Kula 5, but just like any other little brother, the Kula 2.5 has to make itself stand out. That’s why it has a freakin’ tap, oh and a flow vent at the top to make sure you get the right amount of flow. Check it out here (Amazon link). Both Kulas come in Seafoam Glow, Grey, and White for your accessorizing needs. The Kula 5 also comes in Black out and Tan, in case you need more options. As with any other competitive field, we can’t leave the Kula cooler review without placing it head to head with the current champ. So, for your edification, here is Kula vs. Yeti. 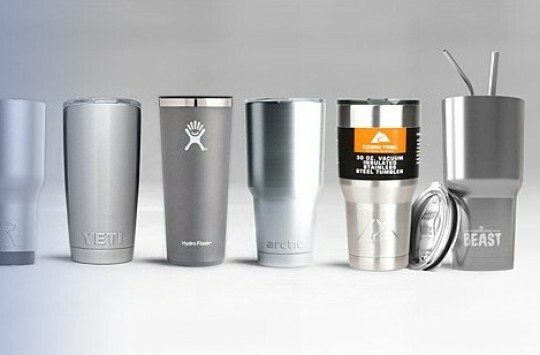 The biggest problem that most competitors face when going up against the Yeti, is that Yeti has the tenure to produce more sizes than most other companies. Kula currently only has two offerings at 2.5 and 5 gallons. 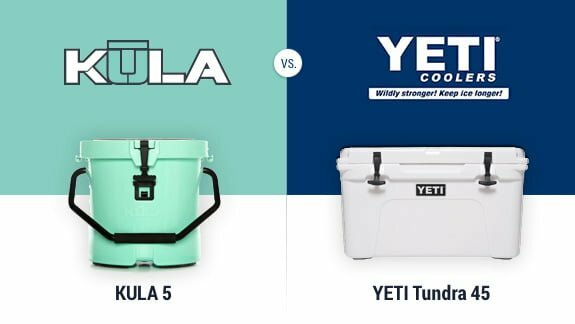 Just the Tundra line of Yeti coolers has 6 times the available size options that Kula offers. Even though Kula hasn’t been around as long as Yeti, their unique design really helps them close the gap between what the Yeti provides. Plus, the Kula is gator proof, even a Yeti would probably be trashed if it got caught in an alligator’s death roll. Kula also pulls even with Yeti in the insulation department. Both the Yeti Tundra and the Kula coolers have around 3-inches of total insulation wrapped in roto-molded plastic. 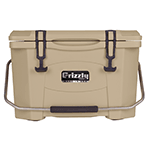 This lets both the coolers keep your ice, icy for several days. In the end, even though we have a fond relationship with the Yeti coolers, our fascination with the moxie that Kula throws out really grabs us. Oh, and the fact that the 2.5 has a tap, and both the 2.5 and 5 are gator proof. GATOR PROOF! 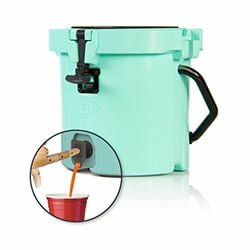 Kula Cooler for Sale – Where to Find It? Our first direction we would point you is Amazon. Shopping online with Amazon offers a degree of security that shopping with other online retailers often doesn’t offer. We also like their shipping policies, especially for Prime members. Amazon also backs you up for almost any reason that you aren’t satisfied with whatever you get. To avoid the chances of having to do a return, Amazon also provides plenty of reviews to help you know ahead of time what you are getting into. If you have to go away from Amazon, dealing directly with Kula is the next option. Dealing directly with Kula lets you make sure you get what you want, and there is no middleman to deal with if there is an issue. Alright, if being gator proof isn’t a compelling enough evidence in our Kula cooler review to convince you to give them a serious look, then take stock in the great performance offered by Kula. This young brand has poured a lot of energy into making a cooler that can stand up against the great coolers on the market. We love the round construction that lets uphold more drinks, and we can’t stress enough how powerful and durable the Kula coolers are. Oh, and if you too happen to get it in your hands, we’d appreciate if share your feedback in the comments section below.